Amanuel Mulugeta and Kidist Zekarias, a young married couple, have been visiting the Exhibition Centre’s New Year Bazaar since their union six years ago. Amanuel, a contractor by profession, specialises in finishing work, while his wife is a kindergarten teacher. Last week the couple arrived at the exhibition centre, visiting the bazaar to buy school supplies, shoes and T-shirts for their two sons, both under four years old. The husband and wife were in one of the three pavilions where Kidist was bargaining to buy a lunch box for her son, who is getting ready to go to school in the new academic year. She finds most of the items she is looking for but is surprised to discover most items more expensive compared to previous years. This year’s expo, which will be held between August 19, 2018, and September 11, 2018, is organised by Eyoha Addis Entertainment & Event Plc, that bid 20.6 million Br to rent the exhibition space. Eyoha is hosting the event for the sixth time. “The price of some school kits, including the lunch box, has shown a 50 Br increase on average compared to last year,” she said, recalling that she spent about 450 Br last year on school supplies for her son. 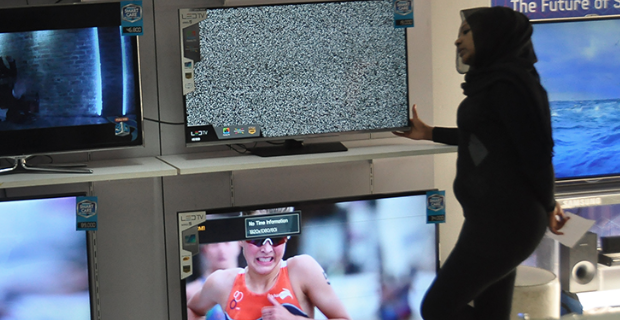 The price increases of various products was also felt by other shoppers. 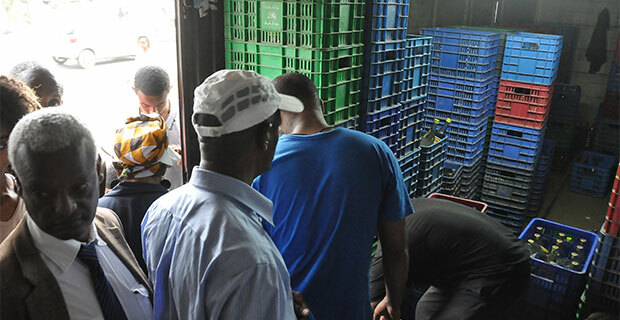 Two friends who both work at Ras Desta Hospital, nurse Elfinesh Alemu and pharmacist Genet Bekele, were at the exhibition centre to buy meat cutters and grinders. They had come thinking that bazaars are places that offer lower prices. Higher booth rental prices at the expo is the main culprit for the escalation in the price of products offered by exhibitors. Close to 350 exhibitors are participating, of which 15pc are non-nationals from Turkey, Syria, India, Pakistan and China. Various products are offered, including adult and children’s clothing, kitchen wares, furniture, school supplies and other consumer products. New Year’s expo greets customers and vendors alike with steep prices. Unlike other events that take place at the exhibition centre, New Year, Christmas and Easter exhibitions are tendered in a public bidding process, with the highest bidder winning the right to hold the expo. “We only evaluate financial offers of the companies,” said Tamirat Admasu, general manager of the exhibition centre, saying that close to a dozen companies express interest to host the holiday events. The price offers submitted in the tender process for the events have been drastically increasing. 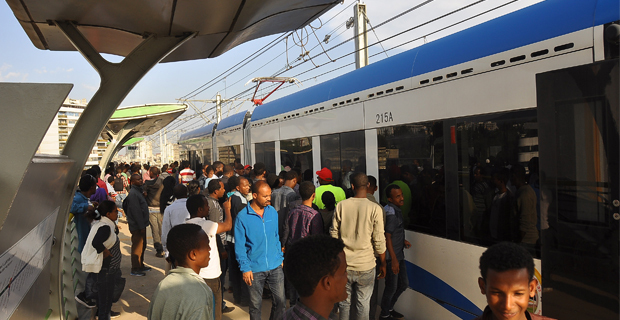 In 2015, Habesha Weekly Promotions won a bid to organise the New Year Expo for 9.5 million Br. 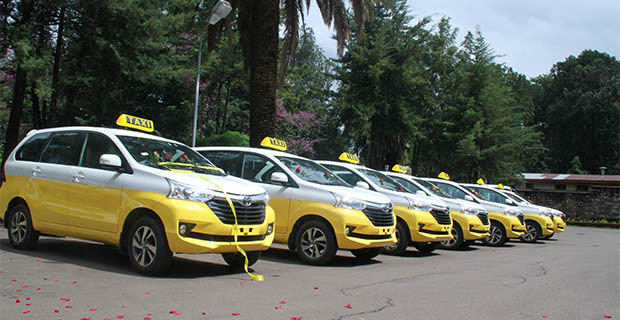 This time around the offer reached 20.6 million Br. 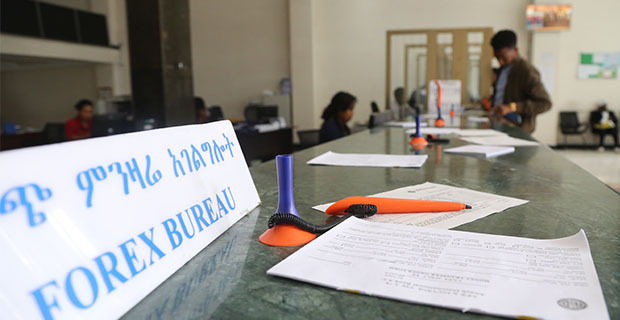 The operator of the centre, Addis Abeba Marketing & Development Center, part of the Addis Abeba City Chamber of Commerce & Sectoral Association, hosted 44 events last fiscal year and generated 80 million Br in gross income. Sitting on a 27,000sqm plot adjacent to Mesqel Square, the centre has three operation pavilions with varying sizes. The first pavilion can accommodate 90 minimum-sized stalls, while the second and third pavilions can hold up to 48 booths each. An open space outside of the pavilions can accommodate an additional 140 stalls. One of those who is affected by this price increase is Natnael Tamirat, an exhibitor. He has participated in the three-holiday bazaars for the past 12 years selling children’s clothing and shoes. 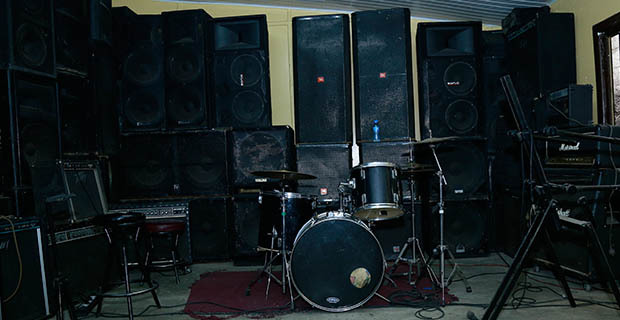 Six years ago he paid 24,000 Br to rent a nine-square-meter booth. This year he paid 56,000 Br for the same booth, a doubling of the rate. Selamawit Yilma, who sells Turkish-made shirts and boxers, and Nardos Kesate Berhan, who offers locally-made canvas bags, has also felt the pinch of the price increase, as they are paying 90,000 Br each to rent larger L-shaped booths. The organiser’s expense is not limited to the 20.6 million Br rental fee the company paid to host the 24-day expo. There are additional costs for entertainment and promotions. The result of these price hikes is that it ends up on the shoulders of exhibitors and visitors. “though there are not many companies that bid to organise these expos, the price is increasing from time to time,” Natnael Tamirat told Fortune. Alazar Mohammed, a marketing and promotion expert, also argues that the shortage of alternative venues in the capital is the other factor that caused prices to increase. “Venues with ample room and the latest facilities should have been opened, as the current exhibition centre is very monotonous and boring,” he said. As an alternative, the city has another venue, the Millennium Hall, which was constructed by the Ethio-Saudi Arabian tycoon, Sheikh Mohammed Hussein Ali Al-Amoudi. The City Chamber and the city administration along with the business community are also constructing another venue, Addis Africa International Convention & Exhibition Center in the Ayat area of Yeka District. On top of the price hikes on booth rental fees, Natnael believes that the number of visitors has dropped. “Flow of visitors and actual buyers has dropped significantly,” he said. 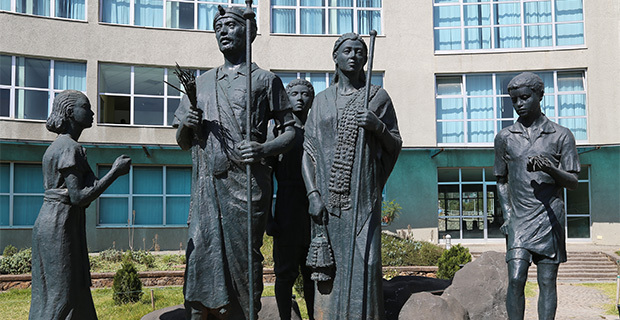 Ayu Alemu, founder of Eyoha Addis, does not buy Natnael’s idea. “The visitors’ flow is very good this year compared to the last New Year expo,” said Ayu, whose company was established six years ago with 50,000 Br capital but is now capitalized with 30 million Br. The company also owns two cinemas and organises different concerts, events and exhibitions. 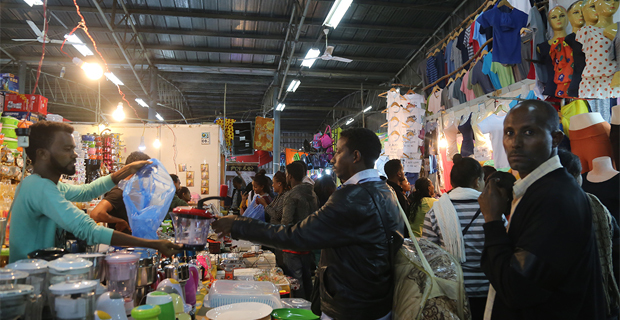 During its last holiday expo, Eyoha Addis hosted a total of 300,000 visitors. “For entertainment and promotions, we spent two million Birr,” said Enyew Girma, coordinator of the exhibition for Eyoha Addis. To cover its expenses, the company has successfully approached BGI Ethiopia, Heineken Brewery, Dashen Brewery, Fana Broadcasting Corporate and Abay Bank for sponsorship. The New Year Expo has also seen many Indian exhibitors. Indian traders, selling items like furniture, decorations, picnic items, shoe racks and juicers, fully occupy one of the three pavilions. Arif Khan, owner of a Delhi-based Furniture & Home Appliances Company and one of the exhibitors, is in his fourth year of participation. His booth offers different types of sofas, tables and other handmade Indian decorations for pricesthat range from 1,500 Br to 10,000 Br.